The South African Democratic Teachers Union (Sadtu) says the looming shutdown by learners on Monday will negatively affect schooling. This is as learners plan to march to Luthuli House in Johannesburg to deliver a memorandum to African National Congress (ANC) President Cyril Ramaphosa. 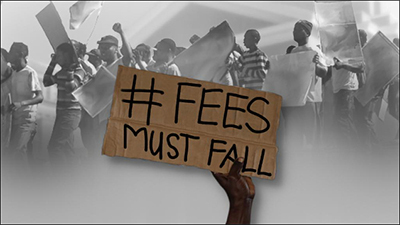 Among the learners’ demands is the release of Fees Must Fall activists and the eradication of violence in schools. The Congress of South African Students (Cosas) says learners across the country are expected to take part in the shutdown. However, Gauteng Sadtu Chairperson Eddie Kekana says the timing is suspicious. The post Looming Cosas shutdown to negatively affect schooling appeared first on SABC News – Breaking news, special reports, world, business, sport coverage of all South African current events. Africa's news leader..